Witnessing a temple dedicated to Garuda is quite intriguing and fascinating, since not many temples are dedicated to Garuda as the principal deity. 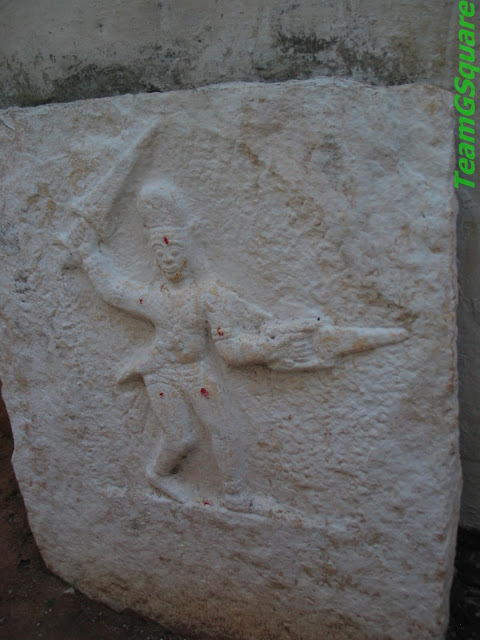 While travelling to Kurudumale (Mulbagal taluk, Kolar district), we noticed a board that read " Way to world's only temple dedicated to Lord Garuda". Without a second thought, we followed the directions and reached this temple. 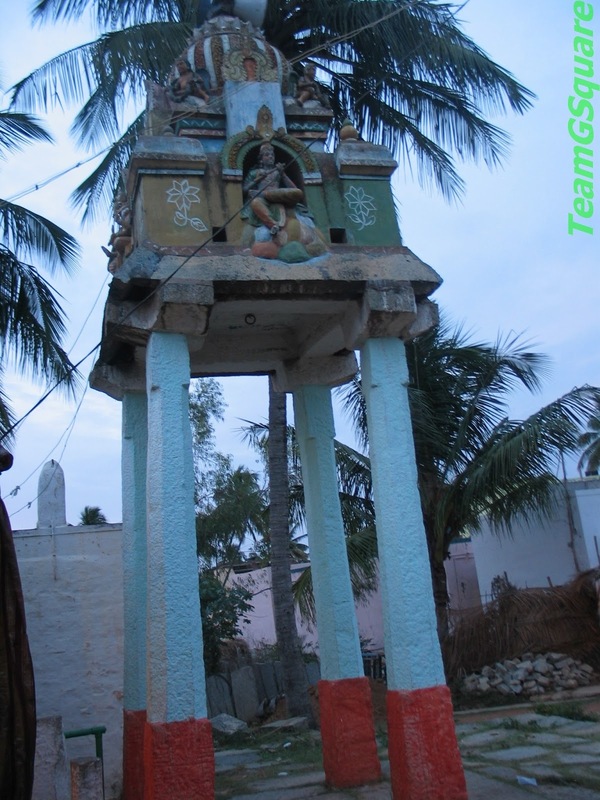 Koladevi is one of the few temples dedicated to Lord Garuda, the vahana (mount/vehicle) of Lord Vishnu. At first glance though it seems to be a modern temple, the idol of the main deity Lord Garuda is ancient having legends associated with the epic Ramayana. Garuda, the king of birds is generally associated with Lord Vishnu but very rarely seen as being worshiped as a principal deity. The beautiful Garuda idol of this temple caught our attention at once as we entered the temple. 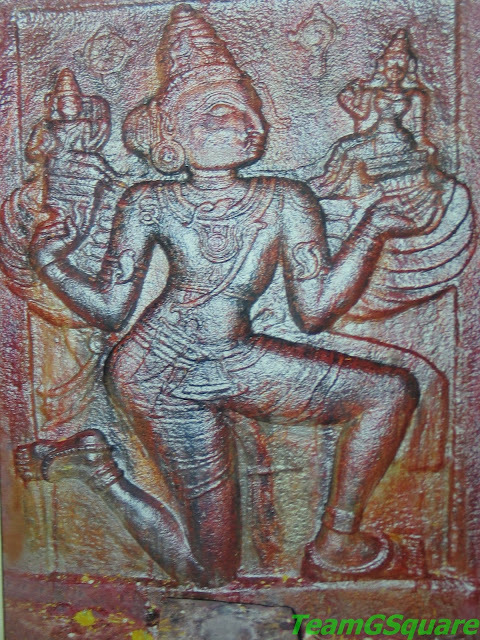 It became obvious that the idol was sculpted during the Vijayanagar period. Simple in its outlook, Lord Garuda is seen kneeling on one knee while carrying Lord Vishnu and his consort Goddess Lakshmi in his right and left hands respectively. A close observation of the idol shows Lakshmi Devi seated at a higher position than Lord Vishnu, thus signifying prosperity. One of the Puranas (ancient hindu texts) is also dedicated to Garuda, by the name Garuda Purana which speaks about his genesis and propagation and also enlists the various punishments given, specific to the type of sin committed. 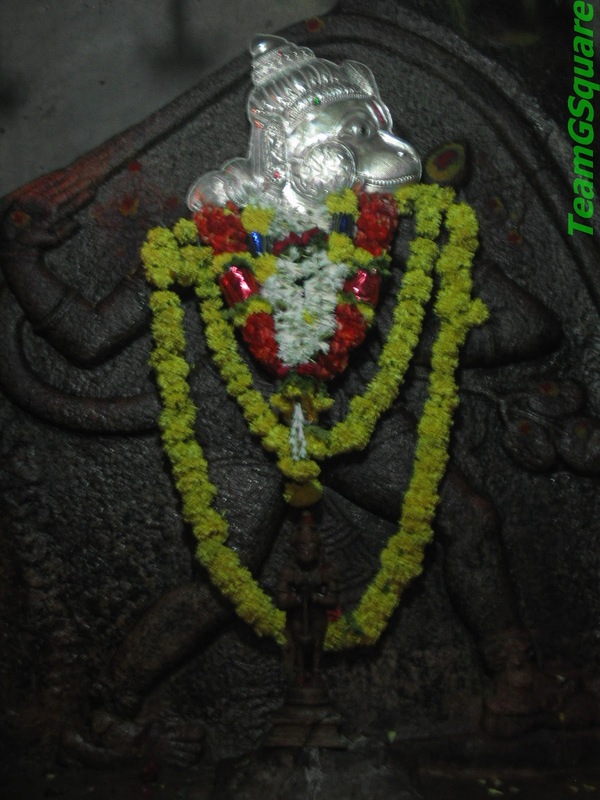 There is another idol here dedicated to Lord Anjaneya (Hanuman/Monkey God), an ardent devotee of Lord Rama, known for his strength and valor. The idol is carved and positioned in such a way that the eyes of Garuda and Hanuman are in perfect alignment, as if staring into each other. 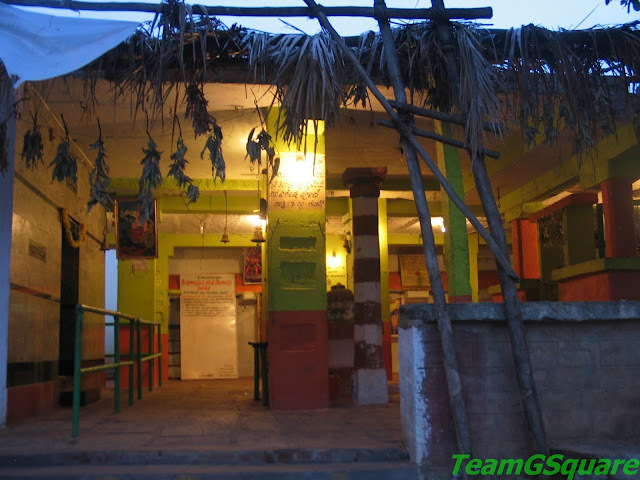 Though not known much to the outside world, this temple of Garuda is vastly popular among the locals who strongly believe in and worship the deity regularly. There are also people coming from far off places who learnt about its popularity by word of mouth to witness the miracles of Lord Garuda. We had a chance to witness one such instance of a family who paid visit to the temple for offering a prayer of thanks. They were facing difficulty in finding a match in marriage for their daughter and decided to pay a visit and pray to Garudaswamy, a few days after-which she found a suitable match and hence their belief grew stronger. The temple priest also quoted a few instances of such kind and mentioned about how powerful the god here is. Wonderful captures indeed and such a fascinating place! I would love to visit there -- fortunately, your photos are the next best thing!! Thank you as always for sharing!! I hope you have a great weekend! Good to know about this temple. 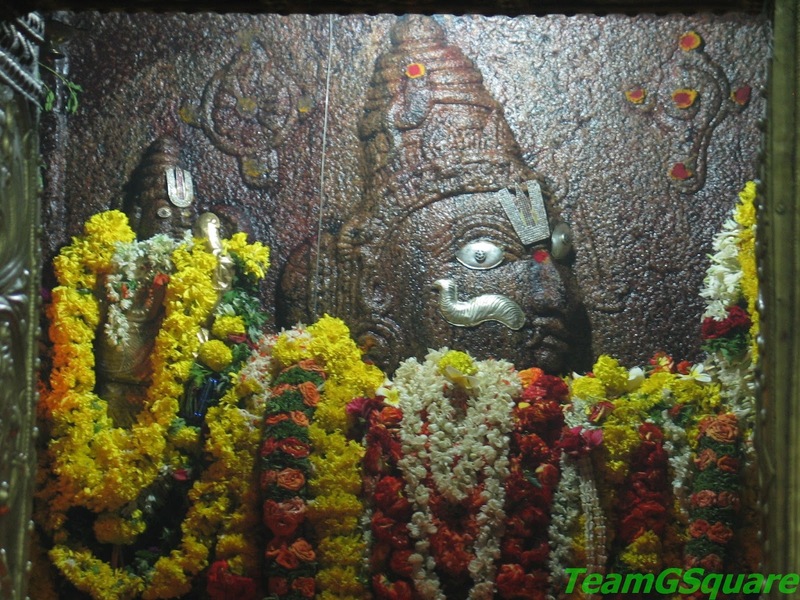 I often fail to get pics of main idols in temple. I just accompanied my daughter's fly for the pooja they were to offer at this temple, to my wonder I just got cured of my non sensing smell I had for more than one year. I was thinking to visit ent surgeon. I had absoluely unable to smell anything. That had effected my taste buds also. I thank god for curing me of my problem. I lived and grew up 10kms away from this temple, but haven't visited it even once, because it was not popular back then. Also, until recently, not even the priest was aware that the idol was of Garuda����. 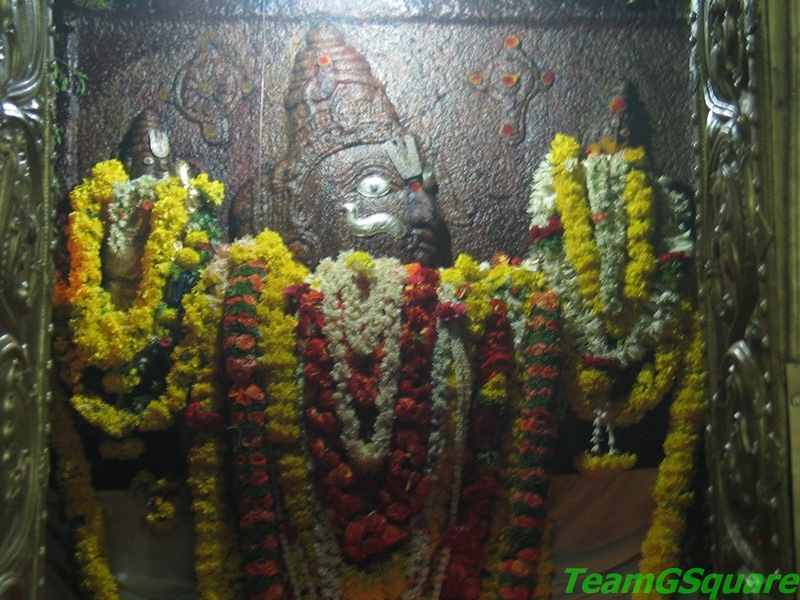 After a roaming sadhu identified the deity as Garuda, this temple attained prominence! 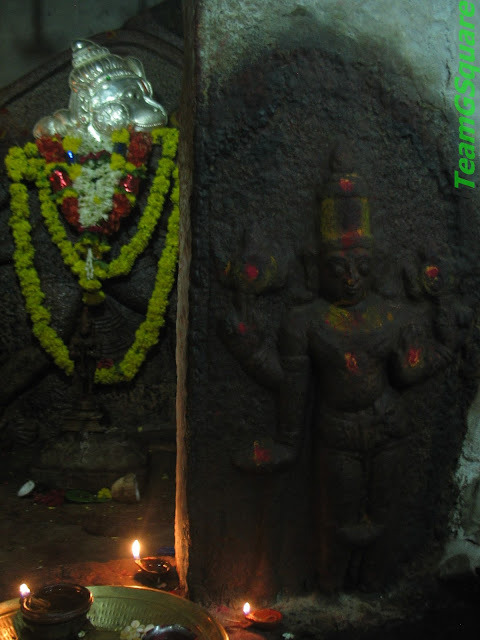 Nevertheless, the temple always have been functional, and the local people flocked to it to worship as it was believed that the God was very powerful, even back then! The temple, as known to me have always been referred to as Sri Anjaneya temple. Thanks Team G Cube for bringing this to fore with excellent pictures. kindly help guiding me to go from Bangalore to Garudalvar Temple please. Enroute you could also visit the Arjuna sthapita Anjaneya temple at Mulabagal, the Trimurthi sthapita Maha Ganapati temple at Kurudumale (On Mulabagal - Srinivasapura high way). After visiting the Garuda temple at Koladevi, you can also take the blessings of Sri Kodanda Rama at Yeldur (8 KMs from Koladevi). I had visited three time there itsems like going again and again.such rare temples of Garuda swmi. I had severe back pain since 10 years and had consulted many doctors and took medications, but nothing worked out. It was 2 years back I came to know about this temple through one of a known person and to my surprise my total back pain was healed within no time. I jumped in joy and really blessed to have the darshana of this divine temple. It's really a bliss! One will get buses from Mulbagalu or can hire autos from Mulbagalu. I have visited this temple yesterday and seen pooja was really amazing. I can suggest every one visit this temple once your life as it is the only one temple related Lord Garuda accors this globe.